Silvana Fabbrini Interior Design offers an end-to-end design service. We are committed to deliver a unique design and create a more comfortable living environment where you can express your personality with spaces that are functional and beautiful. We offer a thoughtful interior design process that blends your requirements with the scope and flow of each space and combines lights, texture, colours and proportions. Create Perfect was founded by Gina Everett in 2016, a highly reputable interior design studio offering design services that are truly tailored to your lifestyle and a reflection of your personality. Based in Buckinghamshire and Norfolk, we work with our clients throughout the entire design process. Whatever your needs or size of project - we specialise in not only functional plans but tastefully styled designs. Gina will assist you with the finer details that can often be overlooked and will save you from making those common but costly mistakes. 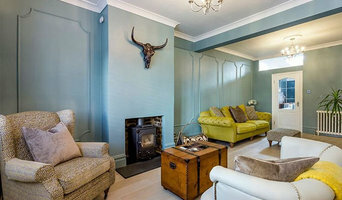 Create Perfect offers a variety of unique interior design packages and services. Visit our website for more details! We are a London based design firm specialising in Contemporary and Modern Classic Interior Design. The practice is headed by Paul Warren, a highly creative and talented designer with many years’ experience working with his clients on their London houses and flats as well as country residences and properties abroad. We are happy to undertake both large and small projects - from complete house refurbishments to the design and decoration of individual rooms. As well as creating attractive living spaces for our clients, we can design and produce bespoke furniture, originate tailor-made kitchen and bathroom layouts and conceive lighting schemes that enhance the atmosphere of any space. We are also able to source fine art and decorative objects to complement and put the finishing touch to the interior scheme. Over the years we have built long term relationships with an exclusive group of expert craftspeople, technicians and trade professionals to ensure that all our work is completed to a high standard. 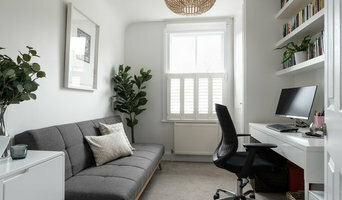 London based interior designer with 15 years experience in design, offers home styling, home staging in North London. With an eye on the past and a true passion for design, Joséphine likes creating simple, elegant and functional interiors to suit each and everyone. French modern, with an English twist. JLV Design understands how challenging home styling can be: whether you’re decorating a new home, starting a room makeover or buying new furniture, converting your vision into reality can be tricky. Joséphine believes that you should love the place where you live, and we will help you meet that goal by tailoring a space that distinctly reflects your lifestyle. 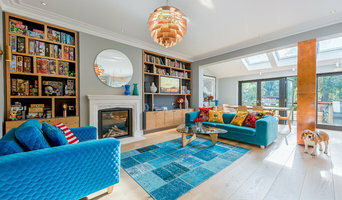 With over 10 years of experience in home improvement and the property sector, Clara Bee is the choice for property owners in south west London. Clara Bee ensures all elements of the project are delivered smoothly, providing an experienced, fully managed service from brief and planning, to a successful completion. We are happy to say new clients are often referred to us by those who have enjoyed and recommended our service. Clara Bee aim to add as much value to your property during the project. Our strong relationships with preferred suppliers and quality, local contractors, mixed with our energy and passion for homes, have helped us to build a portfolio of successful property projects in Balham and beyond. We mix our design talent with a love for architecture, to deliver the best combination of style and comfort, so whatever you want from your home improvement project, we have the creative know-how to achieve it. From creative planning to detailed design, sourcing suitable contractors and we provide project management to get the job done! we work with you throughout to achieve great results. We emphatically believe that inspired design improves well-being, whether it be in a home, leisure, work or retail environment. Our reputation has been built on creating spaces that are beautiful, individual and totally functional. The approach we take involves working very closely with our clients to really understand their style and to identify their requirements and desires for their project. This combined with our commitment to sourcing unique and individual items means that we deliver results that consistently exceed expectations. Our concern for the environment and desire to champion independent suppliers, leads us to design in a considered way, and where appropriate, specify sustainable products that are often produced in the UK. Welcome to Falchi Interiors, the home of tailor made design with a ‘little bit of glamour’. With 20 years of design experience, Marion Falchi has established a reputation for creating beautiful bespoke interiors. Offering a personalised service is “the best part of the job” and creating interiors that go beyond the client’s expectations is exactly what design is all about. Her eclectic mix has identified her as a designer who ‘works out of the trend’, creating something unique for each client. About us, at the Falchi Studio we design for the residential and commercial sector. Our projects range from luxury hotel barges across Europe to residential properties in the capital and Home Counties, along with some special oversees commissions! Within the Falchi Team we have Architects, Contractors, Garden Specialists and we also work with client’s own Contractors. Whatever the requirements, our service is from design to completion. Meet the interior design team at Falchi Interiors and find out about how we work for residential and commercial projects. Bespoke interiors need visualisation and the use of CAD, 3D rendering and Photoshop help the vision become reality. Working with architectural plans, our forte is spatial and technical planning and our wealth of knowledge enables us to design the best possible layout for any project. Finding the perfect furniture is sometimes very difficult; over the years we have manufactured and designed bespoke upholstery and joinery items, headboards, sofas, tables and many more fabulous pieces! We are launching our ‘Bespoke Collection’, providing a selection of beautiful items for purchase, available in a variety of finishes, colours and sizes! At the Falchi Studio we work on every project together, ensuring continuity and creativity. Our Ethos…always think of the client and their needs and give them more than they ever thought possible! 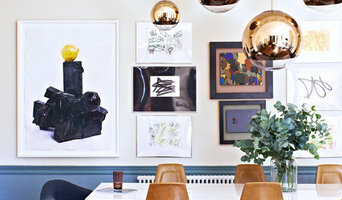 Penman Interiors is a London based Interior Design Practice, working on residential projects in and around London. Nichola works personally with each client to understand their brief and produce a design response that is client driven. This approach combined with a wealth of knowledge and experience, will ensure that a truly personal space is designed for living and enjoying. Nichola has worked on complete home refurbishments with her own team of professionals and with a client's own architect and builders, whilst giving the same dedication and attention to detail when re-designing a one off room. Nichola has built a very strong professional network over the years and is able to support you with excellent specialists and full scale project management. These professionals include: Builders | Decorators | Electricians | Plumbers | Flooring Specialists | Tilers | Carpenters | Gardeners | Soft Furnishers/ Metalworkers | Artisans Penman Interiors have worked on projects ranging from £5,000 to £500,000. Call Nichola Penman if you would like to discuss your project. Established in 2010 by Annabelle Everard, the design studio specialises in residential projects seamlessly combining modern classics with antique furniture. ___ We believe understanding and interpreting your vision is paramount, every project should reflect your personality and lifestyle as well as the studio’s design influence. We offer a selection of services which are tailored to meet your individual needs. Working alongside our build team and trusted suppliers we can manage the project from concept through to completion. Award Winning Interior Design, Without The Designer Price Tag! Egon Walesch is an award winning interior designer, with bases in Greenwich, South East London and in Ireland, full of enthusiasm and passion for the way in which great design can transform people’s lives. Contact Egon for a free initial consultation full of ideas for your home tailored to your needs. I find inspiration in my clients’ taste and personalities as well as the architecture and history of the space. I make the design process fun and interactive for my diverse range of clients, cultivating fresh, functional modern spaces with a strong sense of character and style. Are you looking for some design inspiration for your home? Elegant and eclectic, modern and vintage, Brooke aims to create inspirational interiors that are a reflection of the people who live in them. Mixing colour, materials, styles and pattern, Brooke works closely with clients to create characterful homes full of warmth and charm. We're passionate about design and believe in total reassurance from the initial consultation to the final result. Gulcin specialises in whole home renovations and has built a fantastic reputation with her team of accredited architectural interior designers who create elegant, timeless and very individual homes with our client-focused approach. Whether you simply require additional statement pieces to enhance a room, or re‐dress a space to optimise value, we are happy to advise or offer a complete design service. We can provide concept designs with intensive creative and technical expertise in-house and turn-key project delivery. We also provide initial budget planning & accurate estimate, full working drawings in CAD-scheme layouts & detailed drawings, mood boards and CGI graphics & free hand sketches. We work very closely with architects, developers and property agents. The cohesion between design and architecture is vital. This gives us full understanding of any project no matter what stage of design development. We looking forward to working with you! At AG Interiors we specialize in visually distinctive, welcoming interiors designed uniquely around you. Applying our extensive experience in fashion and creative design, we explore colour, texture, form and style, interpreting your brief to create entirely original interiors, which are expressive, tactile, sensual, memorable, uplifting and ultimately practical. From the simple to the spectacular, our bespoke interiors add a unique and very personal signature, creating a sense of space and comfort that works for the people who live there - space for living, laughing, eating and working. With over 10 years experience, Sam has established a creative North London Design Studio. Specialising in interior design, bespoke furniture, project management and architectural services. The studio prides itself on providing excellent knowledge of design, resulting in beautiful home renovations that charm and inspire. We tailor every project to suit the needs of the client, sympathetically guiding them through the process from start to finish. We truly understand the importance of utilising of every space to its full potential, and with the help of computer software, we have innovative ways to bring these ideas to life. People are what drives our business, the feedback we receive from our clients inspires us to continue to create unique, stunning homes to be proud of. My-Studio creates distinctive, original interiors for cool, discerning clients. We start by looking and listening. Then we come back with ideas. How we execute those ideas depends on what you need and who’s already on board – we play nicely with architects, developers, builders, contractors and suppliers. Creating new spaces for your life should be one of the most exciting things you ever do. If you’re smiling, we’re on the right track.